When your old system is no longer performing efficiently and you purchase a new system and need assistance setting it up for the first time, PC Fixer’s team of repair experts can help you set up a new computer. We provide fast, efficient service at your location throughout the Los Angeles region to help you set up and connect your new laptop, desktop, all-in-one or tablet. 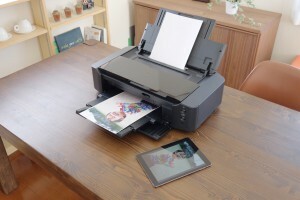 We will get you connected to the internet, optimize and speed up the system settings, install your favorite programs, configure your printers and peripherals and transfer your personal files to the new machine. We arrive on time to provide you with outstanding and friendly service. PC Fixer will help solve your problems with the tangle of cords and cabling that comes with computer technology. Our cabling service will lay out your power cords, internet connections, printer cables, and all the other snaking connections that run from machine to machine. Our repair technicians come to your location, whether your office or home, to provide the service you need. Wherever you are in the Los Angeles region, PC Fixer's repair techs will arrive onsite prepared to do the work while you wait. We are always happy to answer your questions and show you around your new operating system and setup. Our fine technicians will focus on getting you up and running quickly with your new device. Moreover, we can help you remove all of the bloatware, crapware, demo programs, trial apps and spyware from your new computer. This aspect of setting up a new computer alone is worth calling us for as often brand new systems are significantly slowed down by programs that come preinstalled on your brand new system. That is often how computer manufacturers are able to offer such low prices on new computers. Removal of unwanted programs – bloatware, trial programs, software demos etc. 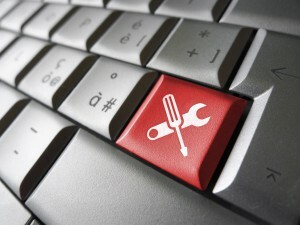 Call PC Fixer today at 310.948.0588 and our friendly and attentive expert will be at your door in short order. Please also feel free to email us at info@pcsfixer.com and we will respond to your inquiry promptly.